It’s been almost two years since Detroit’s finest garage rockers the DIRTBOMBS have graced us with a new album– their last effort being 2011′s triple LP PARTY STORE on In The Red Records. There’s rumor of a new album all recorded and mastered just waiting to get shipped off to the pressing plant, but we don’t have to wait anymore for our next fix of Mick Collins and Co’s soulful brand of garage punk. CASS RECORDS has stepped in and pressed up our next dose of Dirtbombs, in the form of the singles comp CONSISTENCY IS THE ENEMY. If you’re familiar with the Dirtbombs discography, or fanatical like me, you know that we’ve been waiting for this LP for quite some time. Consistency is the vinyl companion to their In The Red released career stretching singles, live and unreleased tracks collection If You Don’t Already Have A Look, released way way back in 2005. 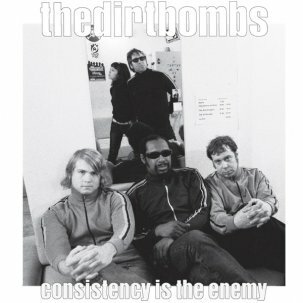 That double CD cataloged all those rare and expensive singles the Dirtbombs are known for releasing at such a high octane and prolific pace–last count they’ve released over thirty 7 inches! Sadly at the time, In The Red didn’t think a double or triple LP was financially worthwhile (or more than likely that all the rabid Dirtbombs fans had most of the singles already). 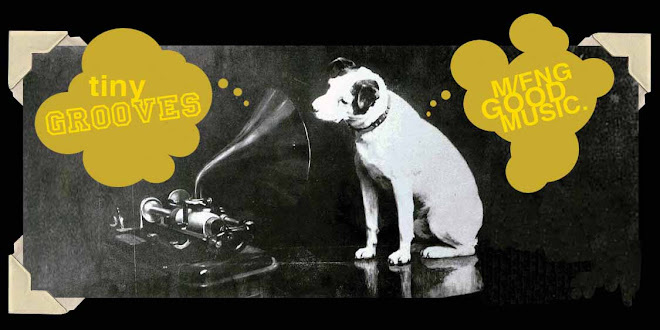 But seeing that they’re one of the last bands standing from the initial garage rock explosion of the 90s/early00s, steadily releasing more albums and gaining new fans, these singles needed to be re-released into the world on vinyl. I wish Consistency Is The Enemy was more than the mere 16 songs it is (the CD compilation contained 52 songs), but with such fiery garage hits as “Here Comes That Sound Again”, “(I’m Not Your) Scratchin Post”, and “They Hate Us In Scandinavia” as well as killer blown out covers of the Ohio Players and Yoko Ono, every song on the LP is a repeat listen. Nobody can match the Dirtbombs’ raw power meets motown punk vibes, expect perhaps the Oblivians. For the uninitiated, Ultraglide in Black is a better starting point, but Consistency Is The Enemy kind of works as a Best Of. And with more and more young bands jumping into the punk / garage scene, an album like this is sure to cement the Dirtbombs where they belong: along side the best garage punk outfits around.